L.A. Live is a 27-acre mega entertainment complex in Downtown Los Angeles, California, USA, adjacent to the Staples Center arena where the current the NBA World Champion Los Angeles Lakers play basketball. 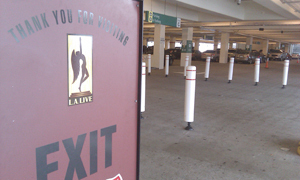 L.A. Live has 5,600,000 square feet of concert theaters, movie theaters, restaurants, bars, ballrooms, apartments, condominiums and a 54-story hotel. 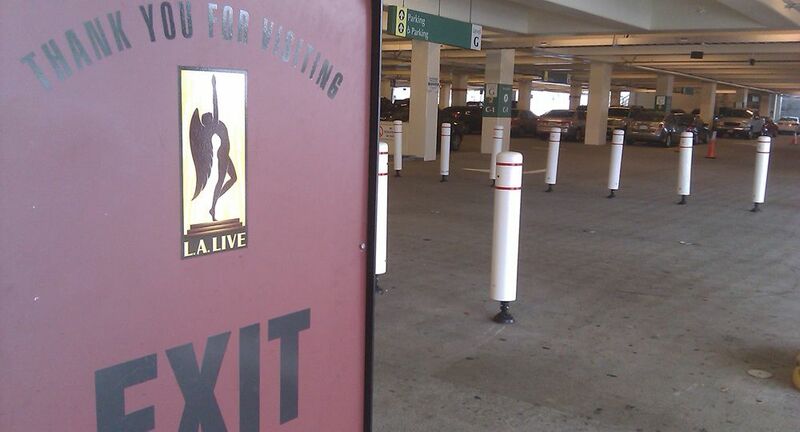 L.A. Live uses both the Gorilla Post System’s post and bollard solutions. The bollards guide vehicles within the garages during ingress and egress. Staff members can quickly shift the removable bollards between lane locations depending on the desired traffic flow. The posts are in service outside the garages. Looking pretty stylish in downtown L.A., The Gorilla Post Kong Bollard allows staff members to quickly relocate the bollards between lane locations depending on the desired traffic flow.